The Baden-Powell Scout Association shares the proud heritage of the Scouting Movement, although we believe in a more traditional way of Scouting which closely follows the program set out by Baden-Powell in his book, "Scouting For Boys." As an independent Scout Association, we are members of the World Federation of Independent Scouts (WFIS). This is a world body that recognises Independent Scouts Associations in countries across the world which teach traditional Baden-Powell Scouting values. In 1907, General Robert Stephenson Baden-Powell was inspecting 7,000 members of the Boy's Brigade at Glasgow. 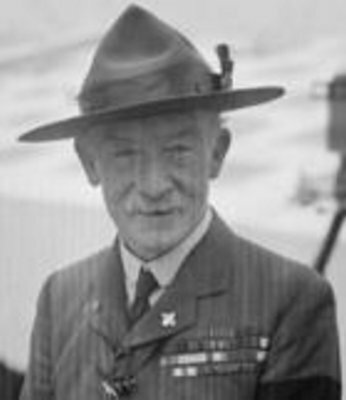 Sir William Smith, the founder of The Boy's Brigade, asked Baden-Powell if he had ever considered rewriting his training manual for soldiers, "Aids To Scouting for N.C.O.s and Men" to make it appeal to boys. As a result of this conversation Baden-Powell ran an experimental camp for 20 boys at Brownsea Island to test out theories on providing activities for boys. Although there was no Scout association at that time, the Brownsea Camp is considered to mark the official start of the Scout Movement. In 1908 he published a series of magazines, "Scouting For Boys," which suggested activities that existing youth organisations could make use of. An unexpected result of this was the formation of Scout Patrols around the country, all of which followed the principles set out in Baden-Powell's work. In 1910 Baden-Powell formed the The Boy Scout Association as a national body to organise and support the Scout Patrols. 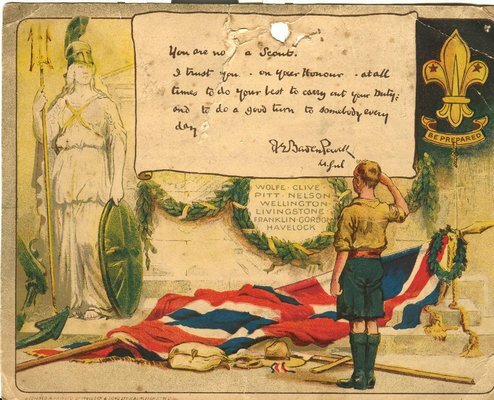 Scouting in the UK continued to follow the programme established by Baden-Powell until the publication of The Chief Scouts' Advance Party Report. The Advance Party Report was an attempt to address falling numbers within the Movement. The Advance Party, 24 Scout Leaders under the age of 45, sought to do this through a process of "modernisation". The Scout Law was re-written and reduced in size, Senior Scouts and Rover Scouts were abolished, with the upper age limit dropped from 26 to 20 years, small groups were closed or merged, and changes were made to the uniform. Older leaders were forced to retire, and Baden-Powell's training scheme was dropped. In 1969 a pressure group was formed within The Scout Association, known as The Scout Action Group. They did not agree with elements of the changes proposed by the Advance Party Report, and asked that Groups wanting to maintain a more traditional approach to Scouting should be allowed to do so. In mid-1970 The Scout Action Group published The Black Report, which outlined their views. The Scout Association refused to accept the views expressed in The Black Report and as a result, on 20th September 1970, the organisation split into two associations - the Scout Association and the Baden-Powell Scouts' Association - with neither being able to claim the other was more or less scouting than the other. The formative years of the B-PSA were challenging. Due to internal disagreements the Association split into two separate organisations in 1979, with both claiming the name and charity number of the Association. The two factions were able to reconcile their differences in June 1990. In the 1990s there was a dip in the number of active Groups in the Baden-Powell Scouts' Association, in common with a drop in numbers experienced by The Scout Association at that time. As with The Scout Association, the Baden-Powell Scouts' Association has shown subsequent growth in numbers with the opening of new groups. The B-PSA celebrated 100 years of Scouting in 2007, issuing centenary badges and holding their own Centenary Camp in Southampton. 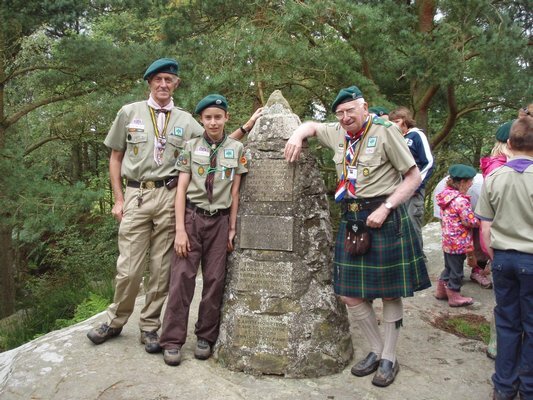 In 2008, leaders from the Association set aside their Association membership and organised "Jamboree 2008," an event that was aimed at bringing all of the various factions of Scouting back together for an event marking the centenary of the first official Scout Camp held by Baden-Powell at Humshaugh. The event included parades at Hexham Abbey and a ceremony at the original Carr Edge camp site. In 2010, the B-PSA joined 1300 Scouts from all over the world in Germany at Eurocamp 2010. In 2014, the B-PSA joined 2000 Scouts from all over the world in Italy at Eurocamp 2014.